Component, Oh! 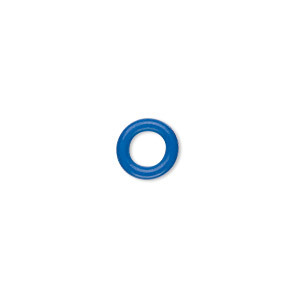 Ring, rubber, blue, 9mm round with 5mm hole. Sold per pkg of 300. Item Number: H20-8439FD Have a question about this item? Component, Oh! 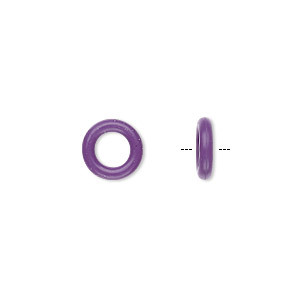 Ring, rubber, purple, 9mm round with 5mm hole. Sold per pkg of 300. Component, Oh! Ring, rubber, light green, 9mm round with 5mm hole. Sold per pkg of 300. Component, Oh! Ring, rubber, yellow, 9mm round with 5mm hole. Sold per pkg of 300. Component, Oh! Ring, rubber, dark green, 9mm round with 5mm hole. Sold per pkg of 300. Component, Oh! Ring, rubber, orange, 9mm round with 5mm hole. Sold per pkg of 300. Component, Oh! Ring, silicone, pale yellow glow-in-the-dark, 9mm round with 5mm hole. Sold per pkg of 300. Component, Oh! Ring, silicone, neon pink, 9mm round with 5mm hole. Sold per pkg of 300.